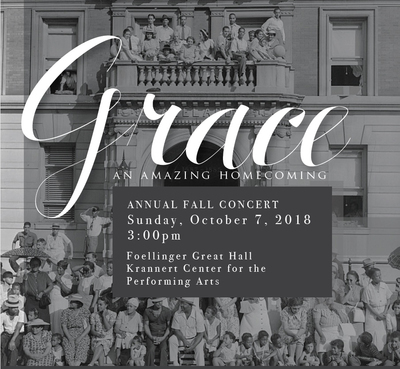 The University of Illinois Black Chorus will perform its fall concert, “Grace (an amazing homecoming),” Sunday, Oct. 7 at 3 p.m. in the Foellinger Great Hall of Krannert Center for the Performing Arts, 500 S. Goodwin Ave., Urbana. Provided by the School of Music at Illinois. 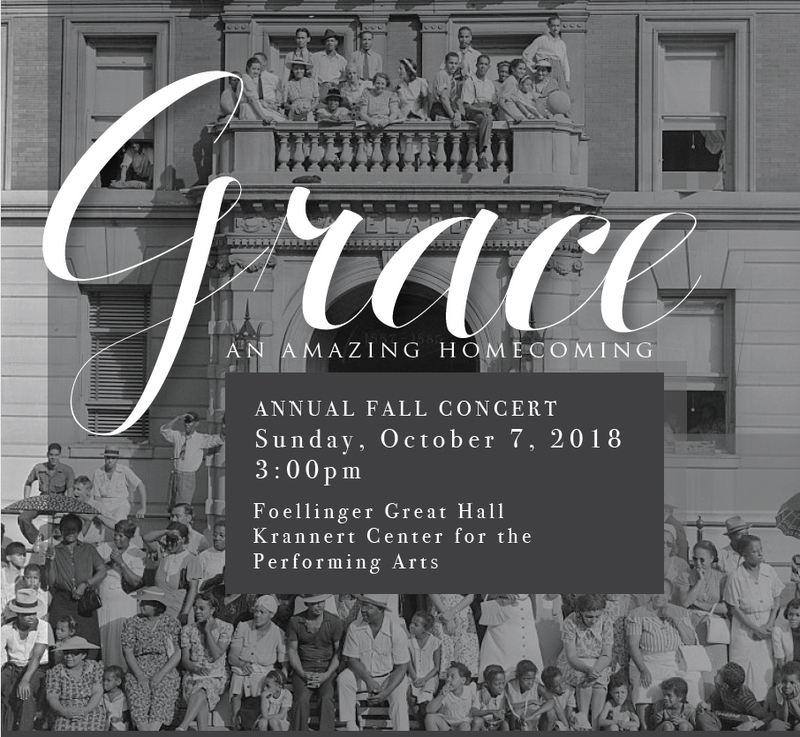 Champaign, Ill. - The University of Illinois Black Chorus will perform its fall concert, “Grace (an amazing homecoming),” Sunday, Oct. 7 at 3 p.m. in the Foellinger Great Hall of Krannert Center for the Performing Arts, 500 S. Goodwin Ave., Urbana. The concert continues a legacy of 50 years of sustained campus, national and international musical performances. Led for 38 years by University of Illinois professor of music Ollie Watts Davis, the concert welcomes alumni back to campus and features music from the African-American sacred music tradition, with arrangements of spirituals, anthems, hymns and traditional and contemporary gospel selections. The concert is supported by the School of Music at Illinois and Krannert Center for Performing Arts. Tickets are $10 and available for purchase at the Krannert Center Ticket Office. For ticket information, call 217-333-6280.